RGBW-A6 series four channel RGBW amplifier. Maximum 6 Amps per channel/24 Amps total. 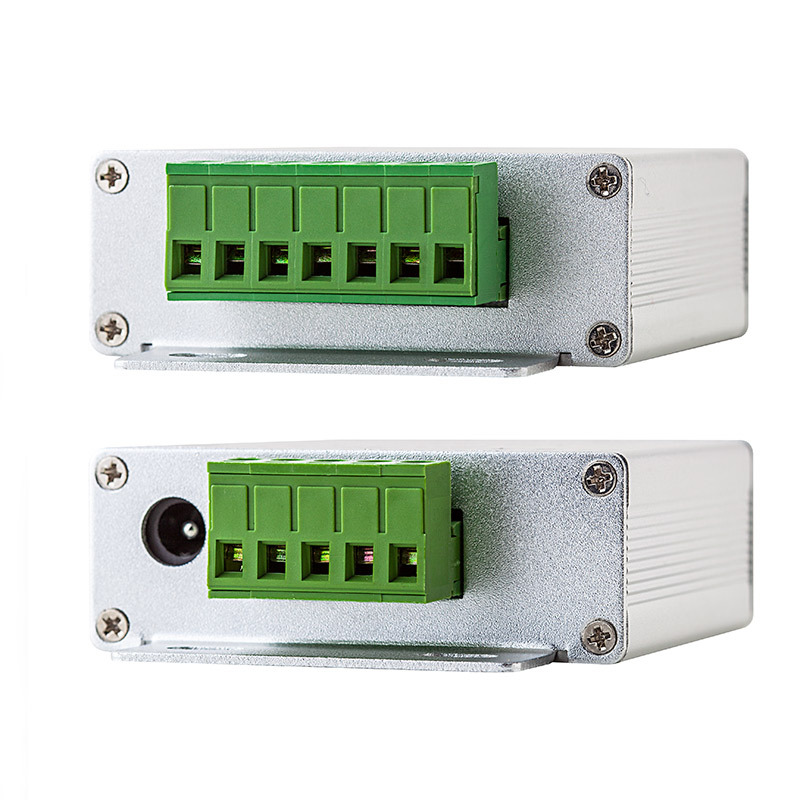 Increases the load capability and extends the signal of universal RGBW controllers. 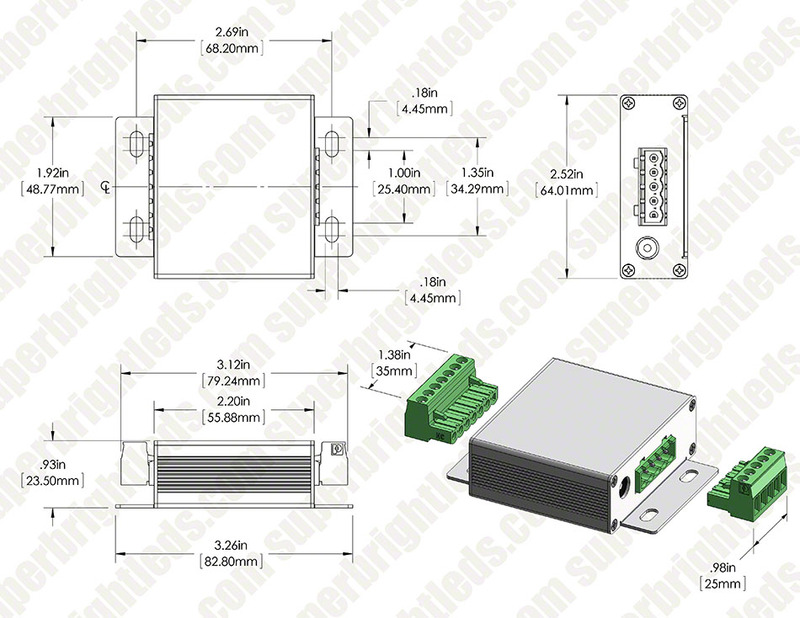 Required if exceeding the maximum load capability of any universal RGBW controller. 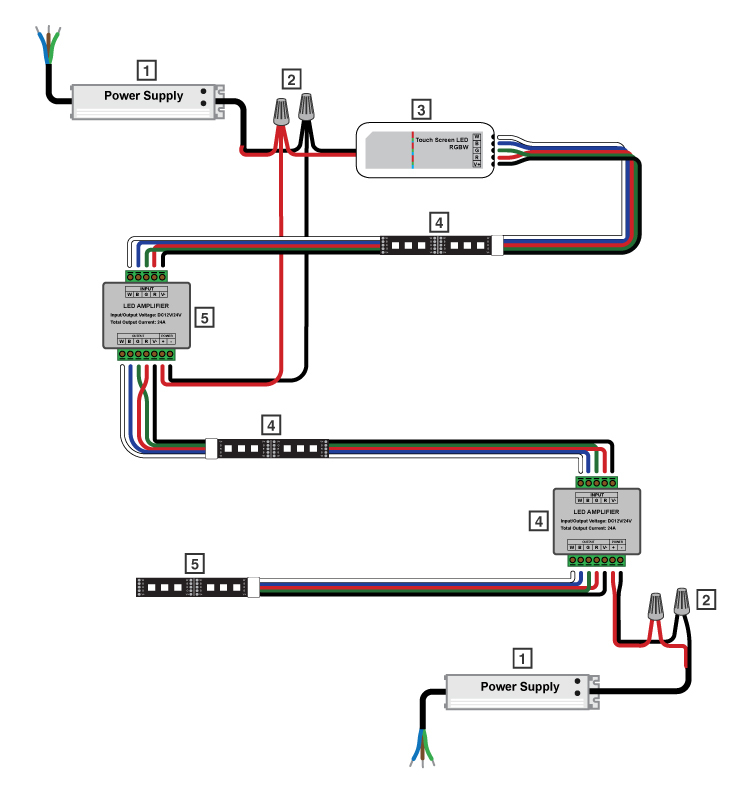 12~24VDC operation. 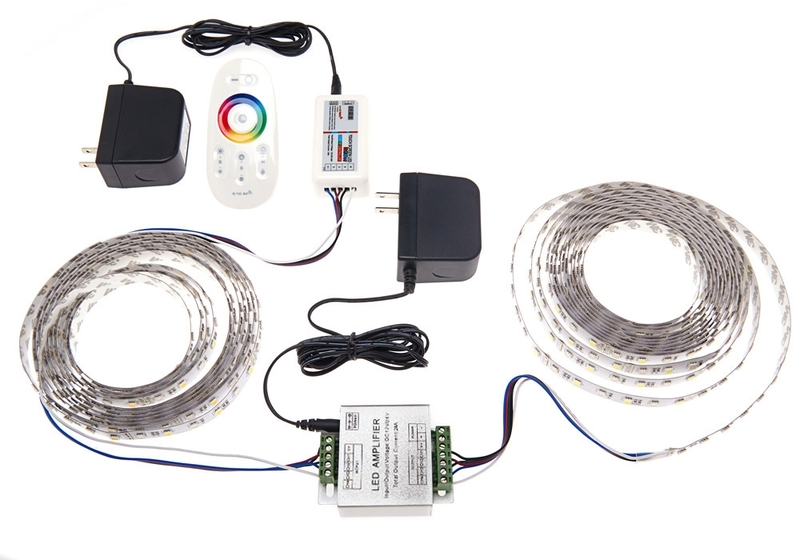 LED controller has five wire inputs that connect to the strip: white, blue, green, red, and black. Wires are screwed into the controller for a secure connection. The RGBW strip needs RGBW wires soldered to their respective colors: white, blue, red, green, and black. These wires are screwed in the amplifier's input terminal. 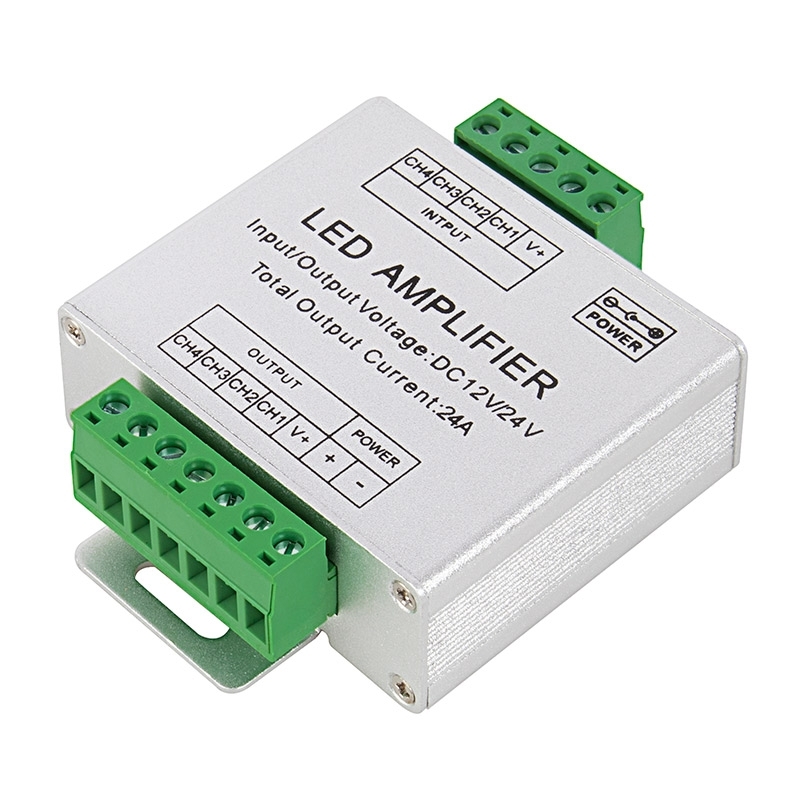 The amplifier has RGBW inputs and RGBW outputs. 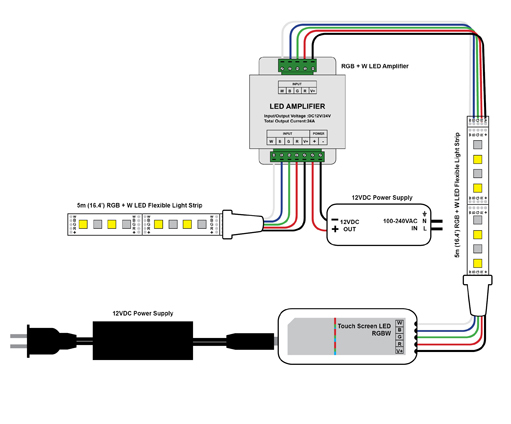 Power can either be from a CPS power supply or (positive +) and (negative -) wiring. Wires are screwed into the amplifier for a secure connection. The amplifier is now setup and will carry the signal from the controller. Product worked as intended. Simplified my installation. Only downside is the amp takes a while to power on the LED strings (3 to 5 sec delay). You will also notice a delay in the off side. Must be the caps discharging. I am using a 10 amps supply, not sure if this is contributing to the effect.